In a random household in Anywhere, USA, you may overhear and eavesdrop on an adult child (a daughter) explaining to her mother how badly she, the daughter, feels when her mother talks to her in a mean tone. The daughter explains how the whole family is upset with the tone, not just her, and that she won’t take anymore of it, and that her mother needs to apologize. Later, the mother grows resentful of the accusation and the daughter is still unsatisfied of the non-apology, so guilt and anger build. Such is just one example of an apology gone terribly wrong. Real forgiveness is what is needed in this relationship–as it is in so many other relationships. Perhaps when we consider what gifts to get each other for Christmas, one gift should be the gift of reconciliation! 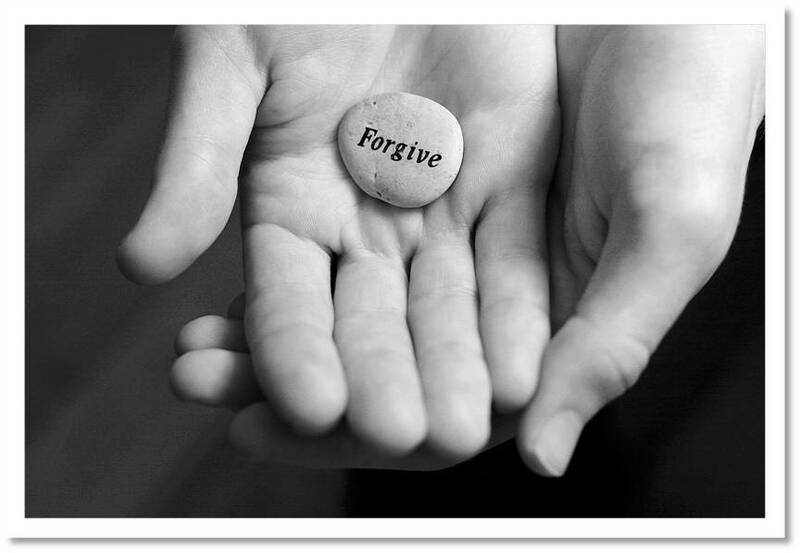 “Forgiveness,” writes Nicholas Wolterstorff, ‘Is God’s love manifested in our midst, and is a fundamental component of the Christian vision.” Forgiveness is critical in our relationships with one another, as is asking for forgiveness, asking someone for an apology, and receiving or giving forgiveness. Yet, as caregivers, forgiveness is hard to come by. We either feel taken advantage of, or we feel guilty that we have failed someone, and so what are we to do? If you look closely at these two verses, you can see that our relationship with God is not divorced from our relationship with others. Our forgiveness from God is not separate from our forgiveness of others. Perhaps many of us run on “Empty” and have resentment because we have either failed to ask God for forgiveness or haven’t received God’s forgiveness. With Thanksgiving only days away, and more holidays to come, I think we need to take time to reflect on our relationships, let God bring people or situations to mind, and receive as well as give the gift of forgiveness this season as one of our Christmas blessings to others.